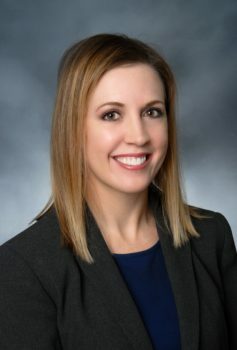 Ms. VanDam joined Jackson & Campbell, P.C. in 2008 as a member of the Insurance Coverage Practice Group. She represents insurance carrier clients in complex insurance coverage cases arising out of environmental, toxic tort, and asbestos matters in state and federal courts throughout the United States and in alternative dispute resolution proceedings. Marie also provides practical guidance and advice to insurance carrier clients in pre-litigation matters involving general liability policies, umbrella and excess policies, and pollution legal liability policies. Prior to joining Jackson & Campbell, Marie spent several years litigating a variety of cases involving product liability, premises liability, wrongful death, commercial auto liability and insurance defense in courts throughout Illinois and Indiana. She has chaired over 25 jury and bench trials in Cook County, Illinois. Marie received her Bachelor of Arts in Political Theory and Constitutional Democracy with honors from Michigan State University in 2000. She earned her J.D. from Loyola University Chicago School of Law in 2003 where she represented her school as a member of the Niagara International Law Moot Court Competition team and competed in the final round of the international competition. Marie coauthored “Construction Coverage Defect Analysis – Easy as 1, 2, 3?” appearing in CPCU Underwriting Trends, June 2006. Marie enjoys running and volunteering for the American Cancer Society as a committee member where she mentors runners participating in races while raising money for ACS and assists with the recruitment of runners for such events.